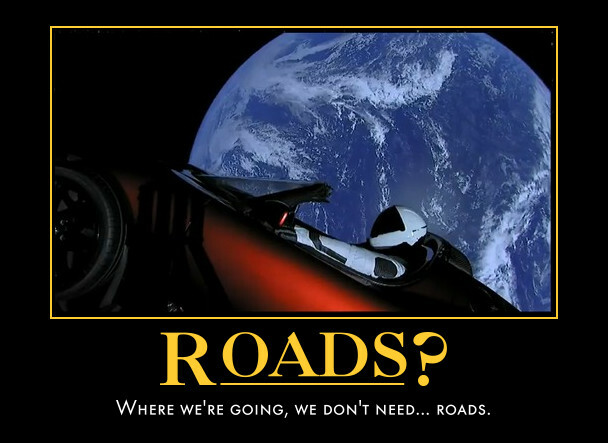 Kent's "Hooligan Libertarian" Blog: Where we're going, we don't need... roads. Roads? Where they're going they don't need roads. I am very much in favour of flying cars and think that this Roadster is even better. Not only is it a flying car but also a space-travelling car. In other words I think of it as a spacecraft as opposed to an aircraft. I now hope it'll be just a matter of time before another car is sent into space. I would even like a car to be sent to another world.